Federal Infrastructure and Transport Minister Darren Chester MHR said in the last five years there had been three reported crashes at the intersection, all of which involved vehicles waiting to turn right from Boyer Rd into Serenity Drive. The upgrade is one of 29 Tasmanian projects being funded through the Federal Government’s Black Spot Program. “Creating a right-turn lane on Boyer Rd will improve safety for all road users, and reduce the risk of such crashes reoccurring,” Mr Chester said. “These works will ensure that vehicles turning into Serenity Drive will have a space to wait for an appropriate break in the oncoming traffic," he said. State Infrastructure Minister Rene Hidding said the works would result in improved safety while supporting local jobs. Tasmanian contractor DCS Civil Tas Pty Ltd is expected to have completed the project by April. “We recognise there will be some disruption to traffic while this safety improvement is delivered and I thank motorists for their patience during this time. We also remind motorists of the importance of slowing down and complying with posted speed limits when travelling through road works sites,” Mr Hidding said. Liberal Senator Jonathon Duniam said he was pleased to see another black spot in regional Tasmania identified and fixed under this program. Senator Duniam said the Federal Government was providing $300,000 for the junction improvement, with the State Government contributing funds for the initial planning and design. 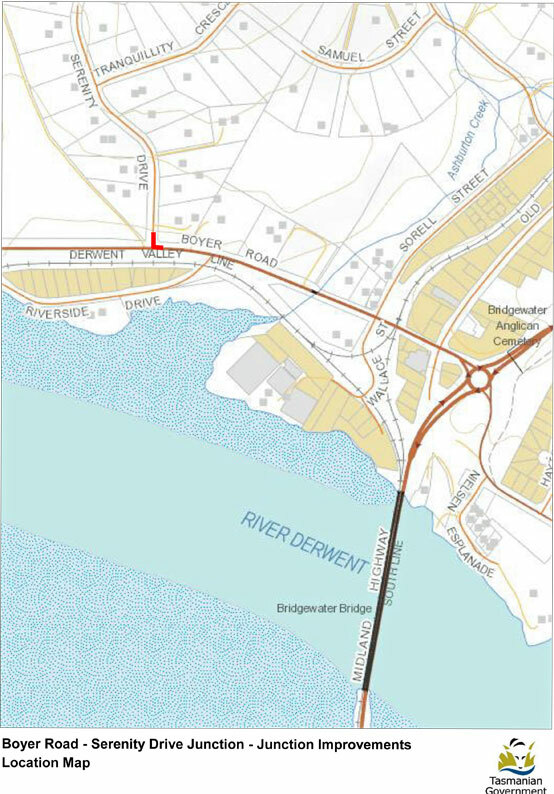 Works at the junction are scheduled to be carried out between 7am and 5pm until March 20. A reduced speed limit applies. Click here for more information on the Black Spot Program, or to nominate a black spot. Who is Liberal Senator Jonathon Duniam? Is he a Tasmanian senator? If so, this is the first I've heard of him.